Remember one of my favorite things late last year? It was this big market bag from Big Bag Theory (BBT). That denim bag remains a very useful shopping and travel companion for me. The ladies behind BBT have created a new batch of arm candy that any lady will like - clutch bags, and they're all the rage right now. 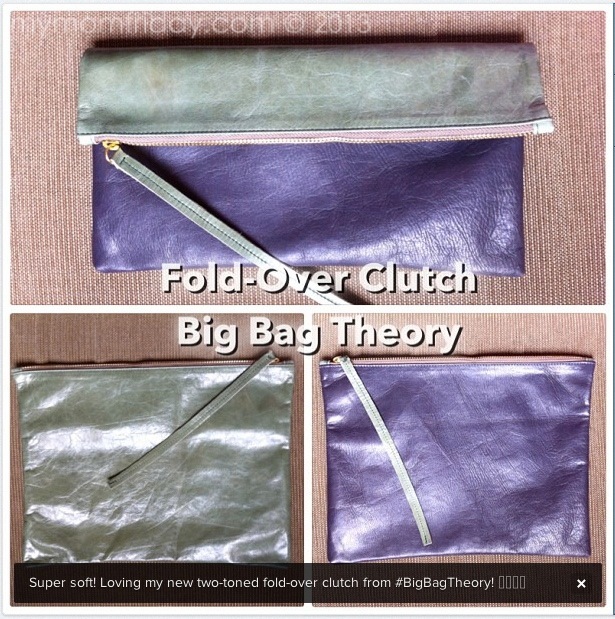 I received my own two-toned Fold-over Clutch from my friends at Big Bag Theory as an early Easter gift. It's made from smooth distressed leather, and lined with fabric. 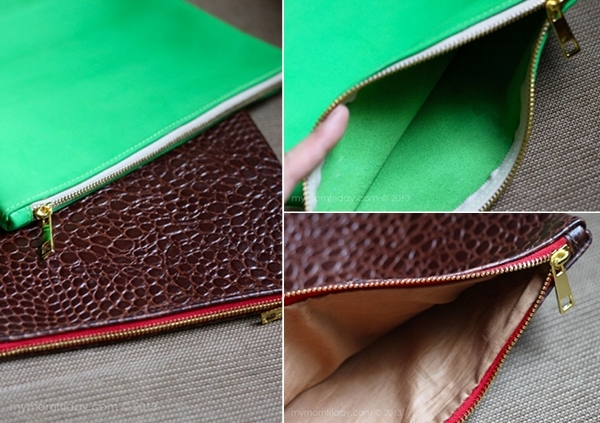 "This product was carefully made by local craftsmen in accordance with the characteristics of natural leather material. The presence of minor flaws, shade differences and natural markings on the material demonstrates its authentic quality and uniqueness and should not be considered as defects." I love that the clutch is supple and soft, very lightweight. It has a different color on each side for a striking effect when folded. 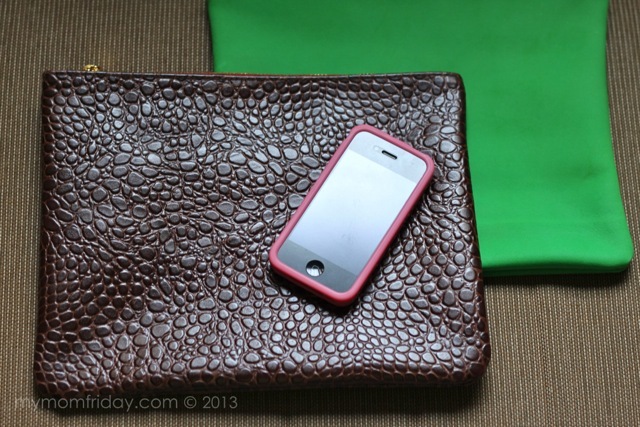 I also use it as a chic work envelope, and easily fits an iPad! Recently, Big Bag Theory came out with a new collection featuring flat clutches in a variety of leather materials and in different textures. Carry these babies from day to night, casual to dressy occasions. And one of these can be yours! 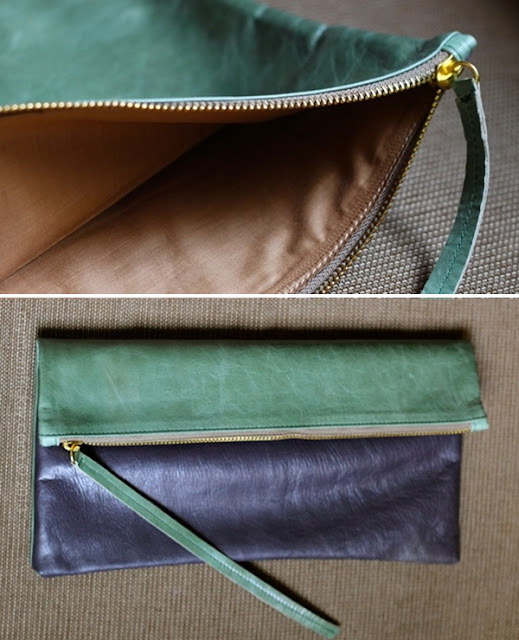 Two (2) lucky My Mom-Friday readers can Win these stylish clutches from Big Bag Theory with just a few steps in this quick and simple raffle! Earn bonus entries if you do the extra steps, like sharing on Twitter and Facebook. Raffle will close on April 18. Big Bag Theory will deliver the prizes to the 2 winners. LIKE Big Bag Theory Facebook page for new updates on their collections. Check back after the 18th for the announcement of winners!